When David Rainwater arrives at the house looking for lodging, he comes recommended by a trusted friend as "a man of impeccable character". But Ella senses that admitting Mr. Rainwater will bring about unsettling changes. However, times are hard, and in order to make ends meet, Ella's house must remain 100 percent occupied. So Mr. Rainwater moves into her house...and impacts her life in ways Ella could never have foreseen. The changes are echoed by the turbulence beyond the house walls. Friends and neighbors who've thus far maintained a tenuous grip on their meager livelihoods now face foreclosure and financial ruin. In an effort to save their families from homelessness and hunger, farmers and cattlemen are forced to make choices that come with heartrending consequences. The climate of desperation creates a fertile atmosphere for racial tensions and social unrest. Conrad Ellis -- privileged and spoiled and Ella's nemesis since childhood -- steps into this arena of teeming hostility to exact his vengeance and demonstrate the extent of his blind hatred and unlimited cruelty. He and his gang of hoodlums come to embody the rule of law, and no one in Gilead, Texas, is safe. Particularly Ella and Solly. In this hotbed of uncertainty, Ella finds Mr. Rainwater a calming presence. She is moved by the kindness he shows other boarders, Solly...and Ella herself. Slowly, she begins to rely on his soft-spokenness, his restraint, and the steely resolve of his convictions. ©2009 Simon & Schuster (P)2009 Sandra Brown Management, Ltd.
Oh my! If there were 6 stars to be given, I would gladly give them!! This book was amazing! I am still in awe of how absolutly captivating it is. I usally read books, but I listened to this on audio (my first audio book). I caught myself crying at intersections when listening to it in the car. The characters are wonderfully developed. It's hard not to feel conected to each of them. The ending was a perfect closing to the story and lives that were portrayed. 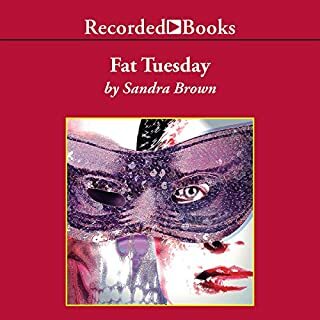 This was my first Sandra Brown book and I am impressed with her writing talents. There is so much description in this book, you can almost taste and feel the things that are happening. For those concerned with content, there is some language in the story (the bad guys cuss :). But the story line is wonderfully written. Often stories have some holes in the plot, this one does not. I HIGHLY recommend this book. This is the best book I have read in years!!! I cried..many times...like the kind of cry you do when watching Steel Magnolias!!! The narrator is wonderful! He has a great voice that matches wonderfully to the story. This is a good story set in early years of the depression, when segregation and racial tensions were rolling along as a benign backdrop in the community. This story uses tidbits of the racial tensions to provide the listener a good description and understanding of the environment in which this story takes place. It is more about greedy men and the lengths they will go in order to remain in their positions of power; about a mother's love for her child and the lengths she will go in order to protect him; and Mr. Rainwater who is much more than he appears to be. The ending of this story is heartwarming and "somewhat" heartbreaking but more than that, a good reflection of real world possibilities. Audible's publisher's summary is good. Solly is telling the story of how he became the owner of the gold watch which was given to him by Mr. Rainwater. Mr. Rainwater plays an important and intricate role in this story. He epitomizes the ole saying "don't judge a book by its cover", and in the first quarter or so of the story he is somewhat of a mystery. Little by little we learn more and more about him. We learn that he is much more than he appears to be. Mr. Rainwater takes an interest in Solly and begins to devote time and thought on how not only to understand him, but to help him as well. 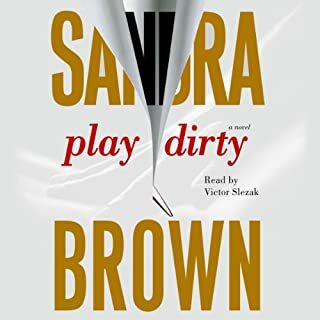 I think this is one of Sandra Brown's best, along with Envy, Mean Streak and Play Dirty. These are the ones that, for me, has a more "unique" storyline. So far, my experience of SB writings has been more positive than negative. I've returned only one of her books - Dust to Dust - mainly because I didn't like the narrator's voice. 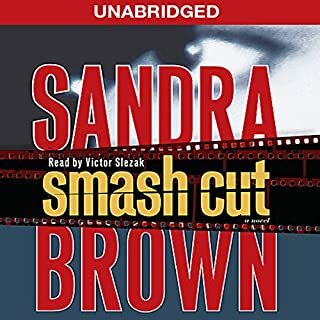 This narrator, Victor Slezak, is much more suited to Sandra's stories. Very sweet story. Predictable at times, could possibly make a great movie. A bit heartbreaking at times, but, that's to be expected based on the short description. Just the right length. Sandra Brown really outdid herself with this one. This book encompasses the life of segregation, prejudice, greed, determination, death, and selflessness. Rainwater also delves into the world of autism before anyone really knew what autism was. I highly recommend this book to anyone, but especially to educators who work with special education students. It is a very thought provoking read!!!! 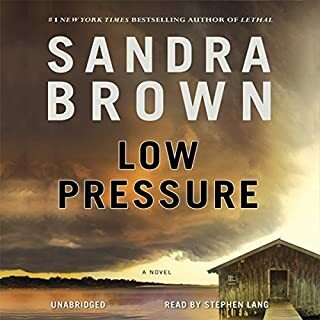 This is my second Sandra Brown book. I loved "Envy" and this book is a close second. Great characters with many twists and surprises in the plot. Victor Slezak is incredible. In fact, based on his narration of "Envy" I chose my second book because he narrated. Enjoyed the story and the narration by Victor Slezak. I was mentally seeing a movie as the story progressed. Knowing there could be a sad ending didn't deter me from wanting to experience the story. I'm glad I did. 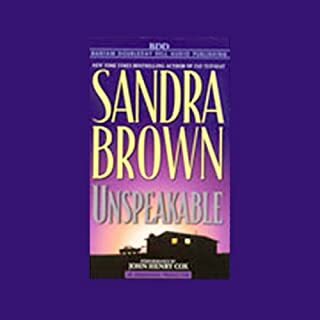 I have any of Sandra Brown's books i can get I can get my hands on. But this one is my all time favorite. It has it all, but it has one of the better love stories I have ever read. If you could sum up Rainwater in three words, what would they be? 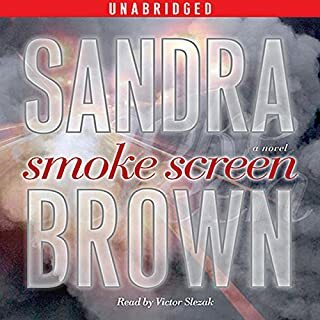 Great Sandra Brown novel with the usual twist at the end. Very touching story and a joy to listen to! As I started to listen I wasn't sure I would like this book. However, the longer I listented I couldn't stop. This was a wonderful story and a great listen. Thanks! 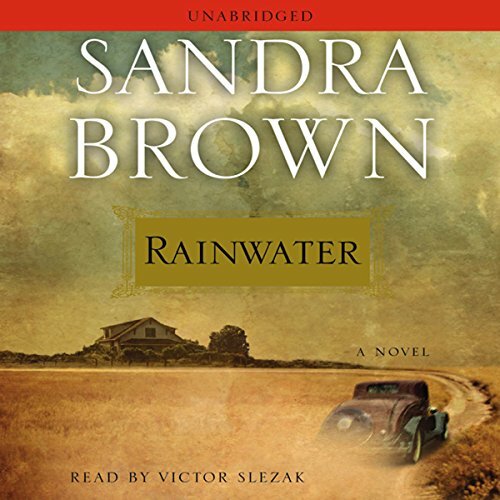 "RAINWATER" Awesome book. Could not put it down.